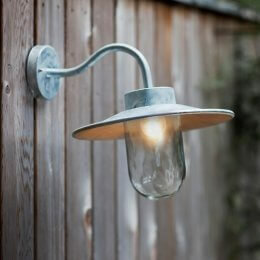 This exterior garden wall light can be fitted to the outside wall of the house, garden or shed. 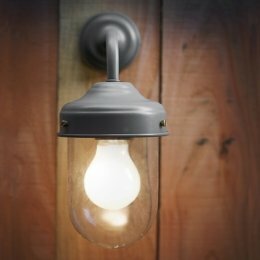 In addition it is ideal for inside the porch or above the front door, it also looks great inside an alcove or on a kitchen wall. 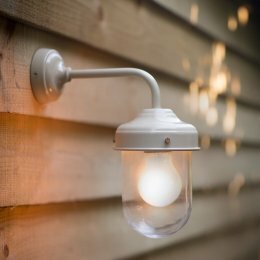 As well as being weatherproof, our barn lights are suitable for harsh weather locations, including the coast. 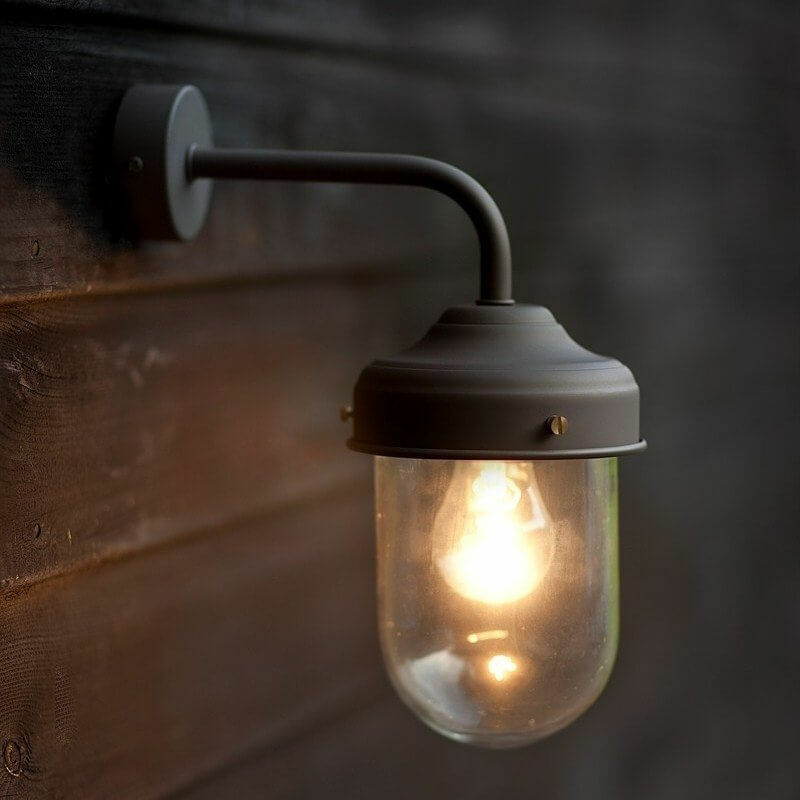 A junction box is supplied inside the rose, which can be fitted inside or outside of the rose. 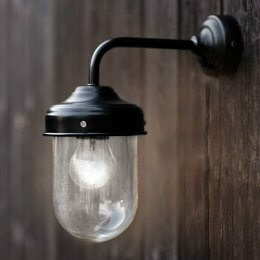 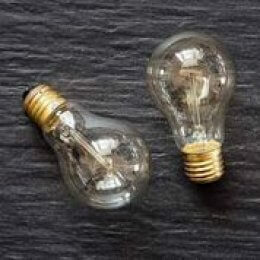 The Barn Lamps are not installed with motion sensors, but it is possible to have one fitted if desired.